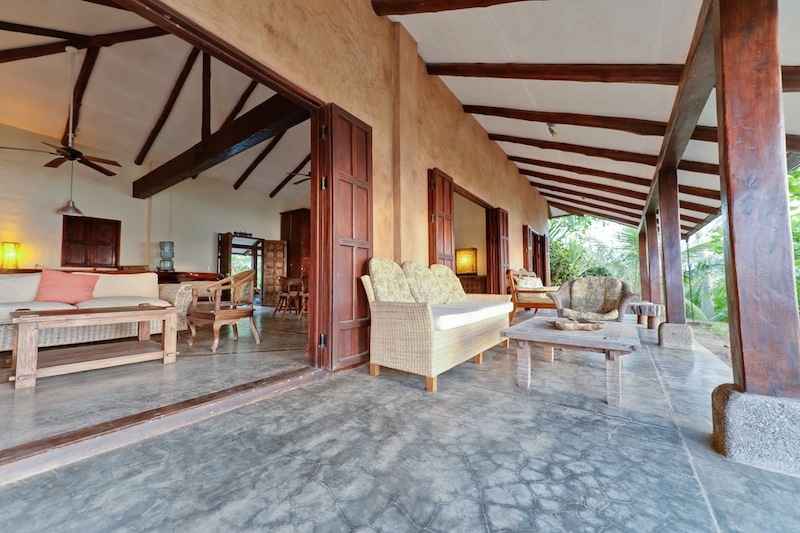 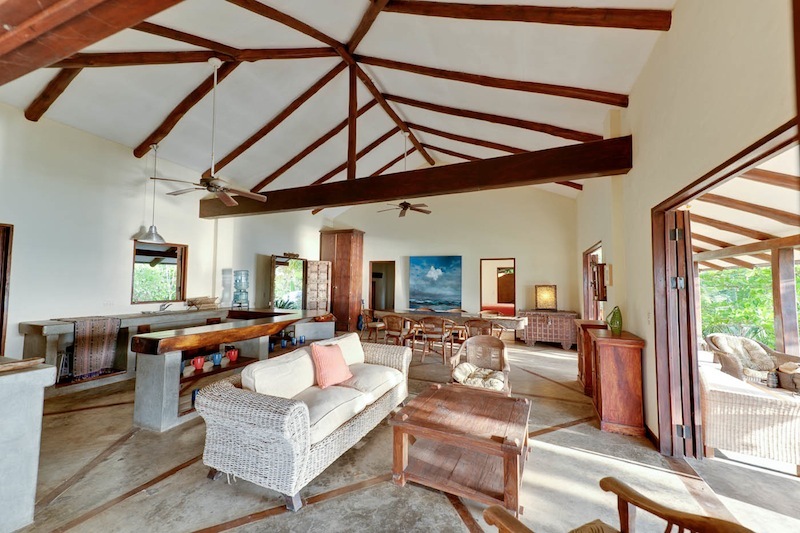 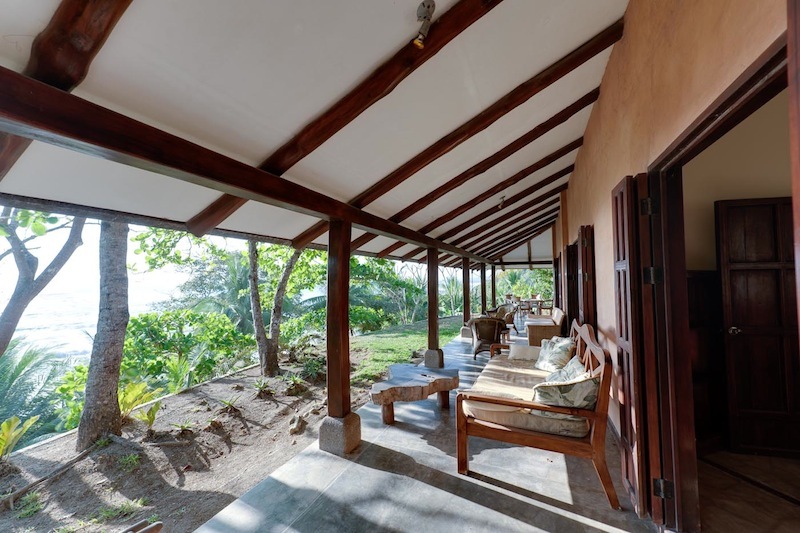 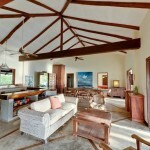 Beachfront Casa Alta is a private three bedroom villa with a spectacular view of the ocean. 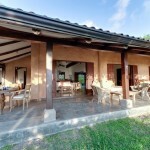 The house is a wonderful breezy place that is sunny and bright all day and covered in the red glow of the setting sun as the day comes to a close. 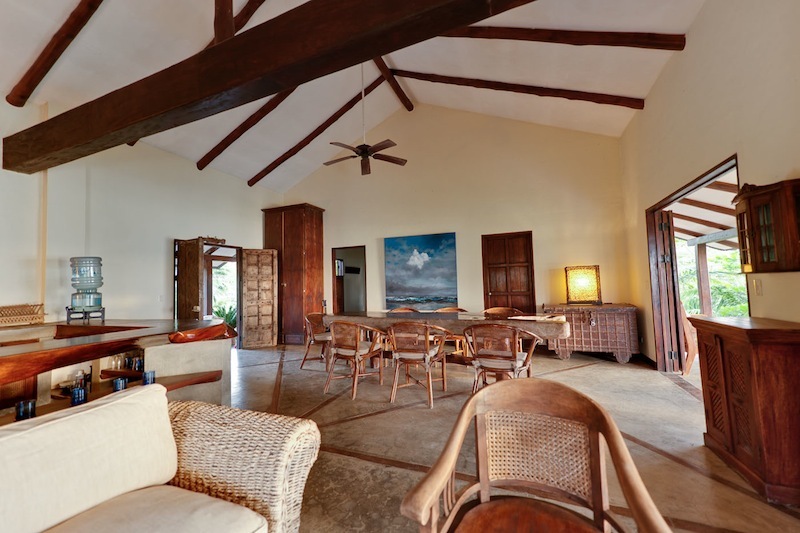 Situated on its own small but steep hill in Manzanillo, this house has been designed for a family or group of friends, ensuring lots of space for individual privacy as well as entertaining and relaxing. 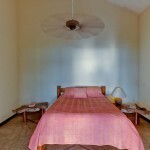 There are three large bedrooms with double beds and the finest cotton sheets. 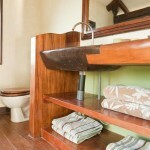 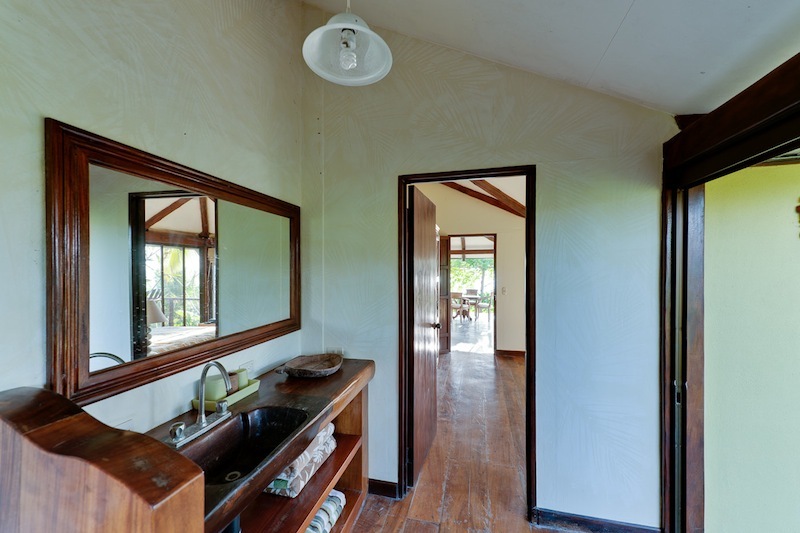 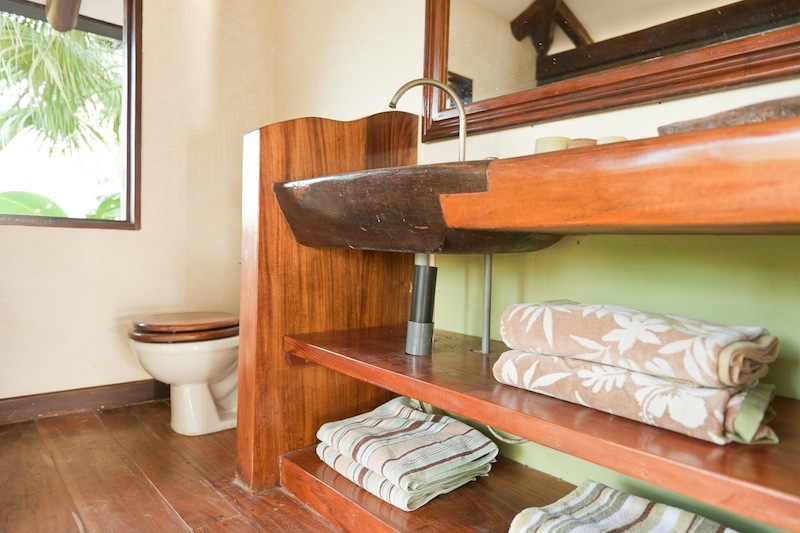 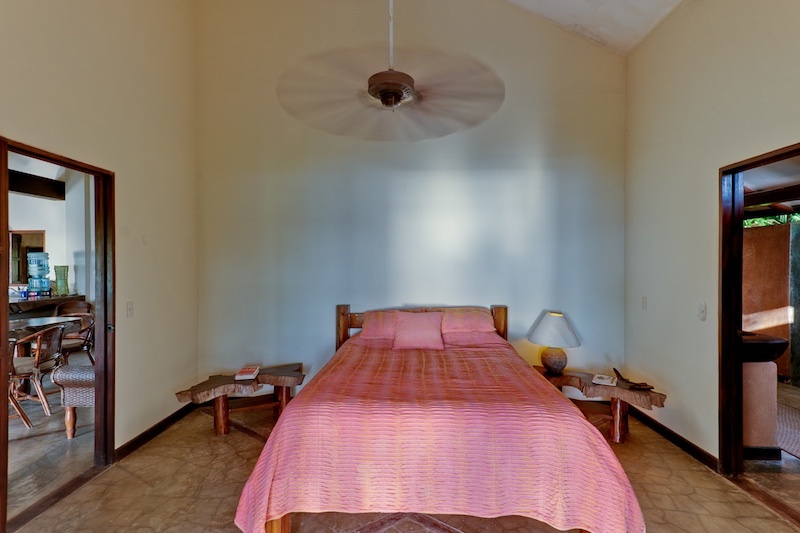 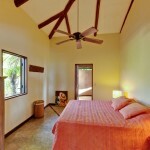 The main bedroom has its own en suite bathroom and outdoor, private shower. 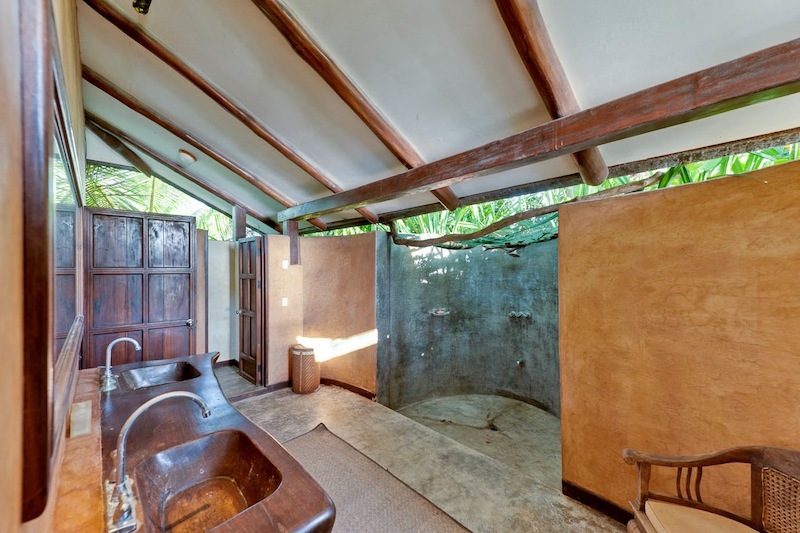 The second and third bedrooms share a bathroom, again with open roofed shower area. 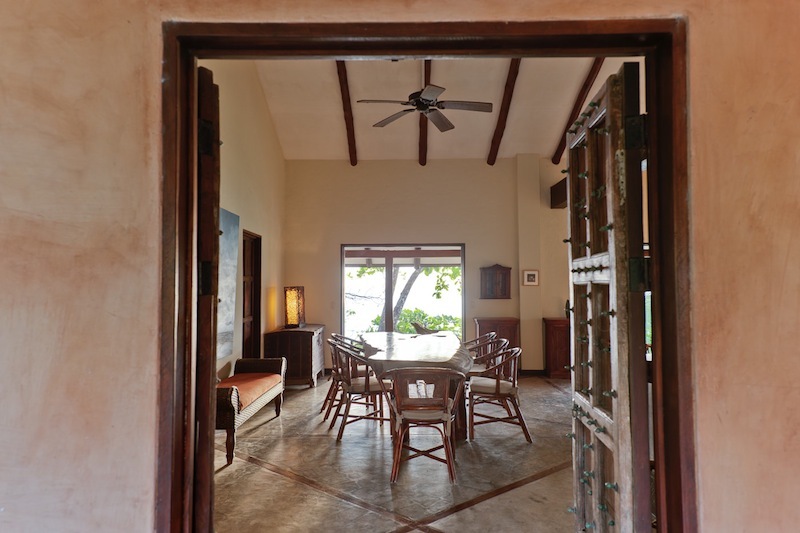 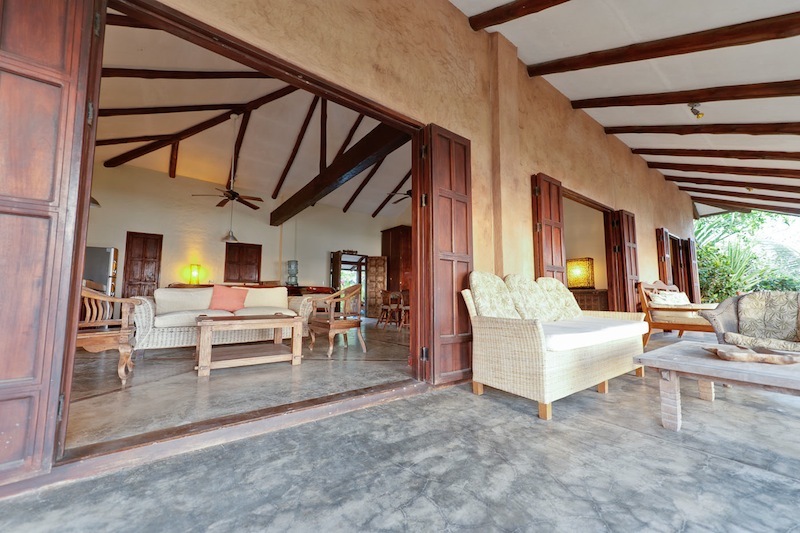 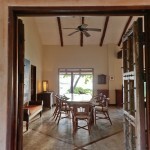 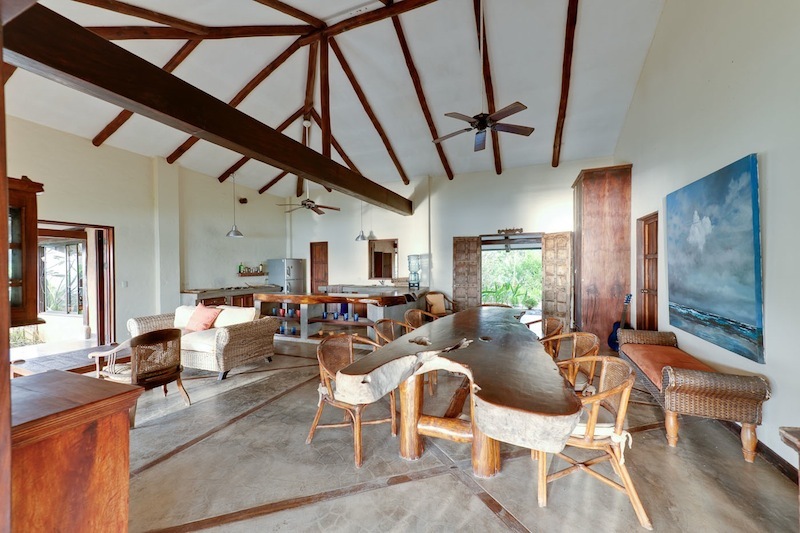 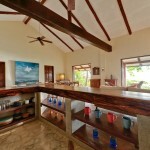 There is a very spacious open plan living room with kitchen and huge teak dining table. 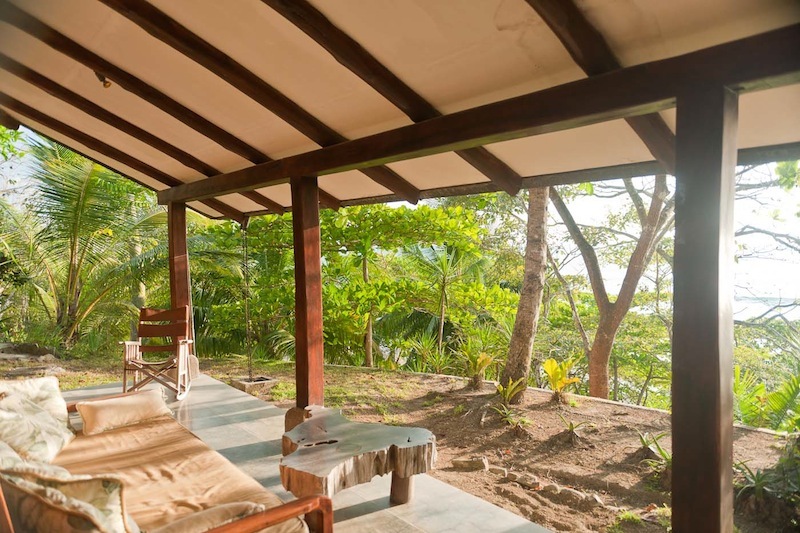 There are several covered outside seating areas in which to enjoy breathtaking views of the Pacific and Costa Rican jungle too. 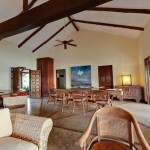 Casa Alta is about 150 meters from the Pacific ocean., perched on a hill. 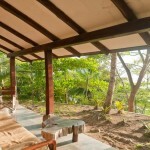 This gives our visitors the best of both worlds – beachfront and an amazing vista over the jungle canopy and sea. 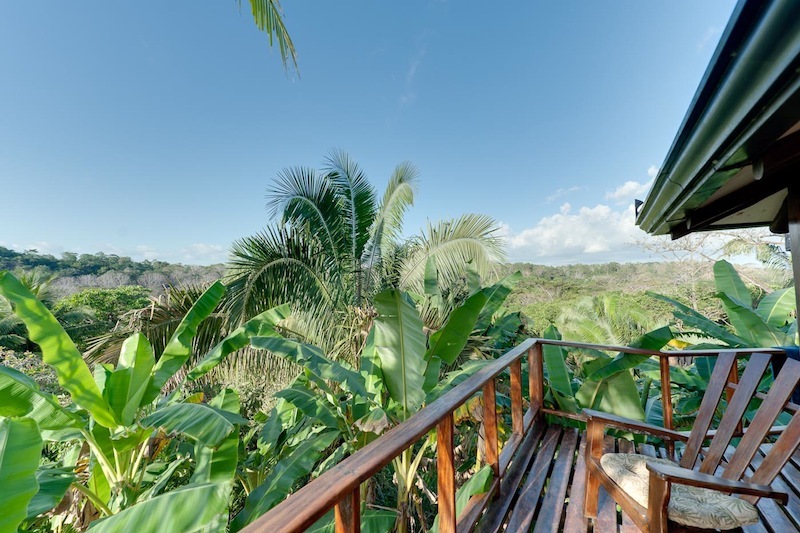 It is utterly private but you have the comfort of knowing that the caretaker lives just at the bottom of the hill and neighbours are close enough should you run out of coffee whilst far away enough so you do not hear them. 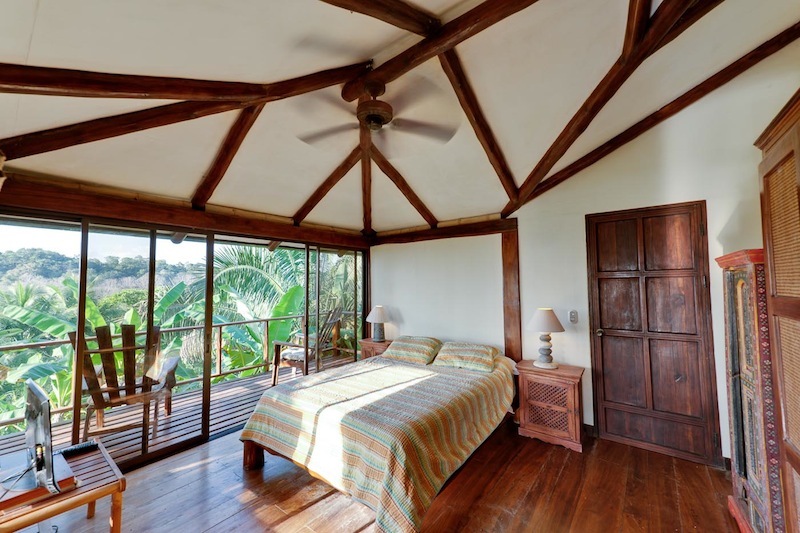 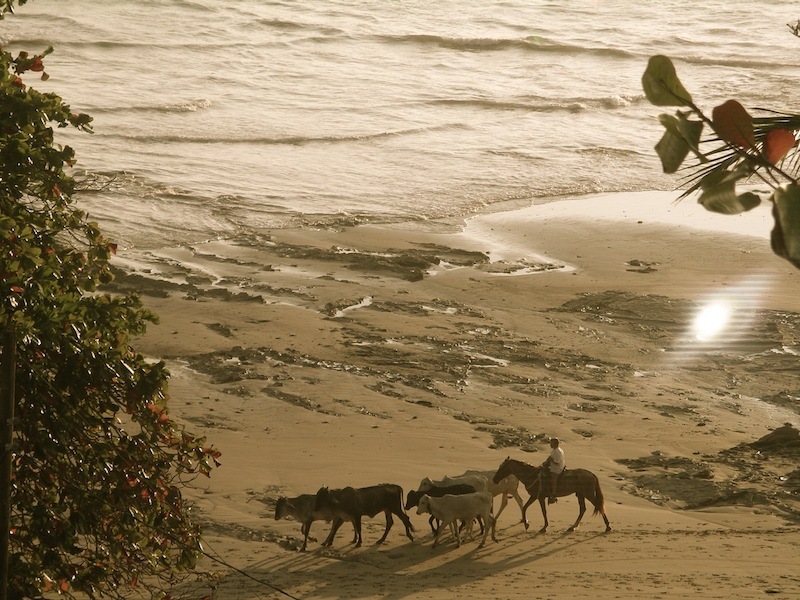 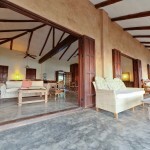 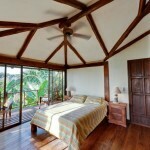 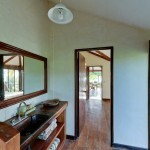 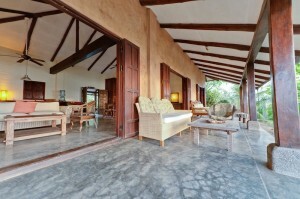 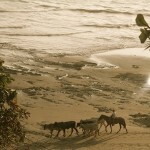 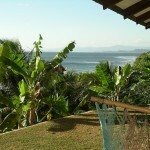 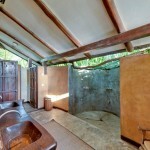 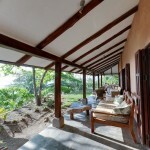 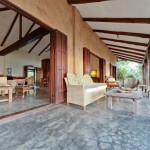 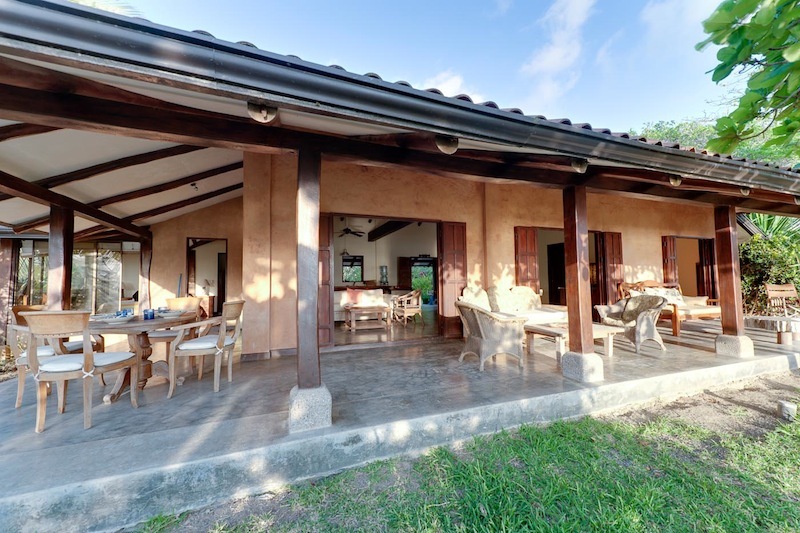 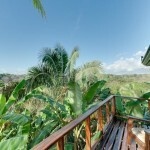 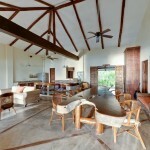 The property is a ten minute drive from probably the best beach along the Peninsula, Playa Hermosa. 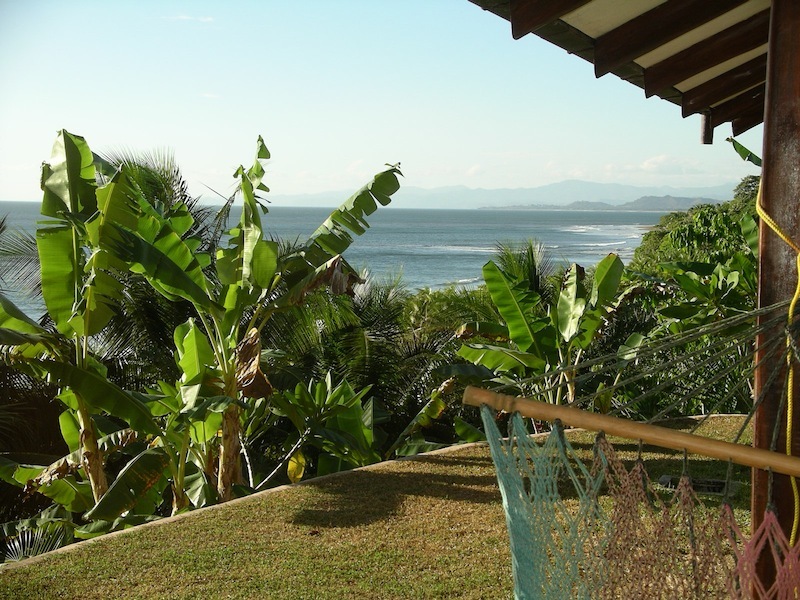 This beach is a haven for surfers and families alike, is wide as it is long and has one of the most incredible tide pools in the area too. 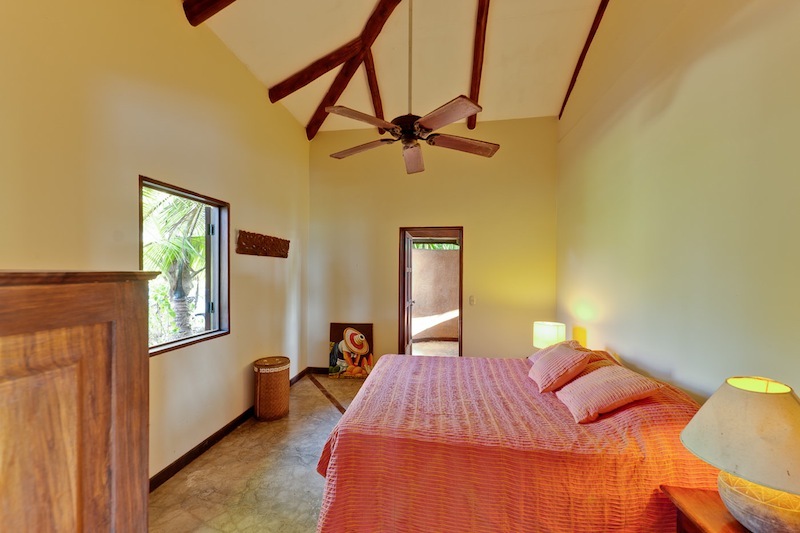 It is also only a fifteen minute drive from the well known surf towns of Santa Teresa and Mal Pais with an abundance of surfing beaches, yoga classes, restaurants and boutique shops. 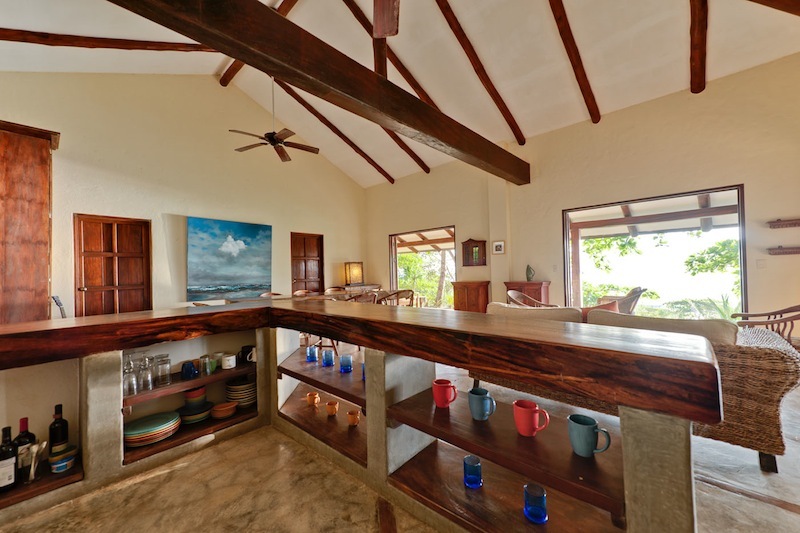 Click on one of the photos below to open up the Casa Alta gallery.